Tam Hunt looks at how Hawaii’s energy mix could change by 2040. Hawaii is famously reliant on imported fossil fuels, for both electricity and transportation. But that’s changing rapidly as the state invests heavily in renewables. Two new bills are now pending in the Hawaii legislature that would codify the 100 percent renewables goal statewide, up from the current mandate of 40 percent by 2030. HB 623 would require 70 percent renewables by 2040 and 100 percent by 2050. SB 715 would require 70 percent by 2035 and 100 percent by 2050, but this bill is apparently languishing now while HB 623 is still active. Both of these bills originally called for 100 percent renewables by 2040. Can the state realistically achieve 100 percent renewables by then? Hawaii’s transportation energy is still almost 100 percent petroleum, but electric vehicle sales are growing fast. EVs are currently about 0.5 percent of all passenger vehicle registrations in Hawaii, up from zero just a few years ago. So while 0.5 percent is an unimpressive figure, we must keep in mind the power of exponential growth. That’s all I’m going to say about transportation; the rest of this article will look at Hawaii’s grid mix. Hawaii’s electricity mix today is still over 80 percent fossil fuels, but again renewable energy sources like solar and wind are growing fast. (This data, from EIA originally, is at least a couple of years out of date, but it’s the latest I could find for statewide data.) HECO, the state’s only private utility, which serves the major islands other than Kauai, is at about 20 percent renewable energy as of the end of 2013, including a mix of wind, solar, biomass and geothermal. Hawaii’s electricity and natural gas rates are the highest in the nation, so there is a strong economic incentive to get off fossil fuels, along with the environmental and energy independence benefits. 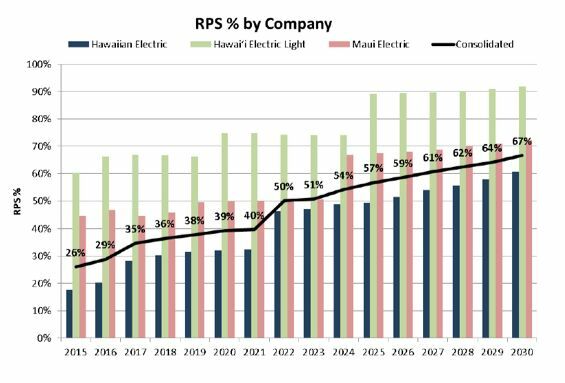 HECO, the state’s sole privately owned utility company, which provides power to all the main islands except Kauai, produced a major report (the Power Supply Improvement Plan for each subsidiary utility) in 2014 looking at how it could achieve higher levels of renewables. 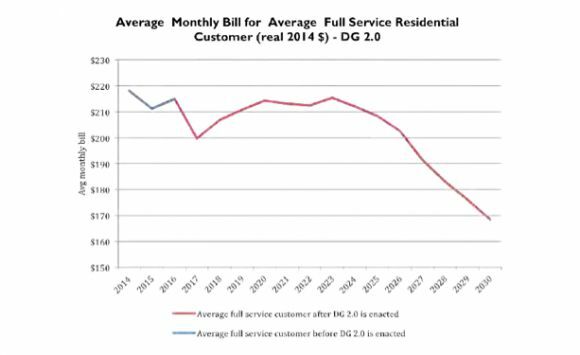 HECO found that the 40 percent by 2030 goal was easily achievable and the utility company could in fact get to almost 70 percent by 2030, at a large net cost savings for customers. The Big Island, the second largest grid on HECO’s system (after Oahu, which is by far the biggest) could get to over 90 percent by 2030 -- also at a net cost savings for customers. That such a high level of renewables can be reached with net savings is a remarkable conclusion. It is made possible by the dramatic declines in costs for renewables, combined with the very high prices that Hawaii electricity customers currently pay. Hawaii consistently has the highest electricity rates and bills in the nation, making the state ripe for a renewable energy extreme makeover. With HECO showing that it can readily get to about 70 percent renewables by 2030, two things become apparent: 1) the two new bills calling for 70 percent by 2040 (ten years later than the utilities themselves say they can get there) are lacking in ambition, and 2) it shouldn’t be much of a stretch to get to 100 renewables by 2040 rather than 2050, as both bills now call for. In my years in energy law and policy, I’ve often seen bills target goals that the market is likely to achieve by itself, and lawmakers then take credit for helping achieve those goals (politicians live for credit, due or not). I’ve rarely seen a bill that calls for a far less ambitious target than the regulated entities themselves have stated publicly. No one yet has done a detailed study of how Hawaii will get to 100 percent renewables, but Mark Jacobson’s team at Stanford has done some work in this area. In terms of policy planning, the Renewable Energy Action Coalition of Hawaii (REACH) has written a white paper to initiate such a process. We can, however, sketch an outline of how to get there before any such study is completed. As with many of my previous columns, I’m going to rely on learning curve models for various technologies and the power of exponential growth. 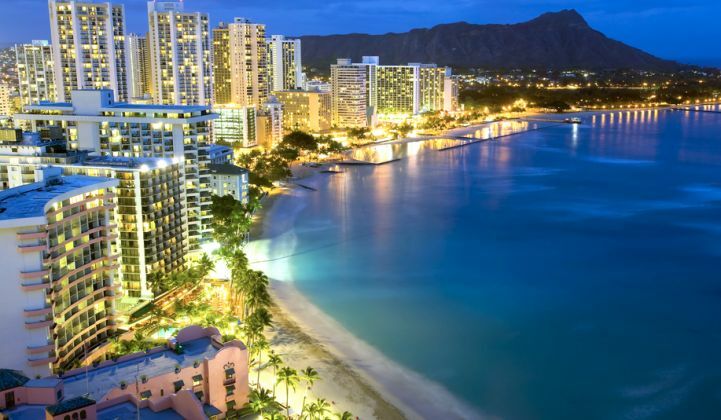 How will Hawaii achieve 100 percent renewables? We can look to the declining cost curves for wind and solar and see that the future is very promising for these technologies. HECO agrees on this, but has also placed a lot of hope in liquefied natural gas (LNG) as a better fossil fuel than bunker fuel or diesel, which it currently relies on for most of its generation. Both are polluting and emit greenhouse gases. I don’t understand HECO’s desire for LNG, since it’s just one more highly volatile fossil fuel on which to become dependent. Since wind and solar are variable resources (that is, the wind don’t always blow and the sun don’t always shine), Hawaii will obviously need significant backup power to balance the grid as these renewables reach higher levels. We can be pretty confident that a mix of wind, solar, biomass and geothermal can power the entire state of Hawaii. 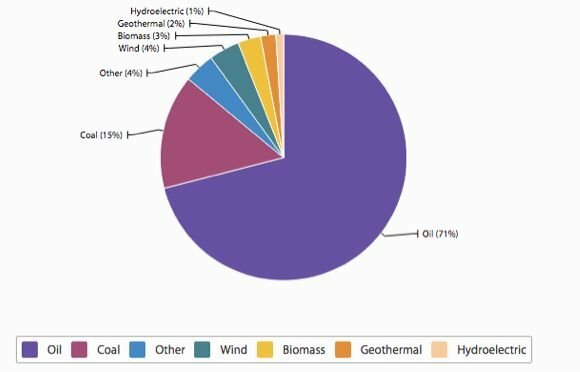 In such a future, the big question becomes how we can balance the grid with a high penetration of variable renewables. Rely on the vestigial fossil fuel backbone to provide backup power as required. Rather than retiring HECO’s fossil-fuel fleet fully as renewables come on-line in a big way, the facilities that can run at night or for frequency regulation will remain available. By using wind and solar power when those facilities are available (which is a lot of the time, because wind and solar are often complementary in that wind picks up when the sun goes down in many parts of the islands), the grid can become majority renewable while enjoying the stability that customers expect of modern power grids. In the coming decade or two, Hawaii and all other modern grids will be adding significant amounts of energy storage. Today, the focus is on battery energy storage technologies, though historically, the focus has been on lower-tech alternatives like pumped hydro storage and flywheels. Pumped hydro could work in the islands, and has been considered in various locations, but my money is on battery energy storage becoming pervasive, because we can already see the cost curves for batteries declining sharply as production ramps up around the world. It’s also important to recognize that some renewables are baseload, like geothermal and biomass. These are available in Hawaii, and the Big Island of Hawaii is currently relying on 38 megawatts of geothermal. However, the other islands don’t have access to geothermal, and biomass has some environmental and resource supply issues. For the record, I don’t think big inter-island cables are the way to for getting to 100 percent renewables. Each island is fully capable of doing this with its own resources if the process is well planned. Germany and California are two examples of grids that are at about one-third renewable energy already (California is closer to 25 percent today, but is quickly heading toward the one-third mark). Both grids function just fine without any dedicated backup power for variable renewables. Both Germany and California are, however, developing battery energy storage options, with Germany focused mostly on behind-the-meter solutions and California focused mostly on front-of-meter solutions like utility-scale battery storage and pumped hydro. California is also looking at how to use the million or more electric vehicles expected to be on the state's roads in the next five years as mini power stations. 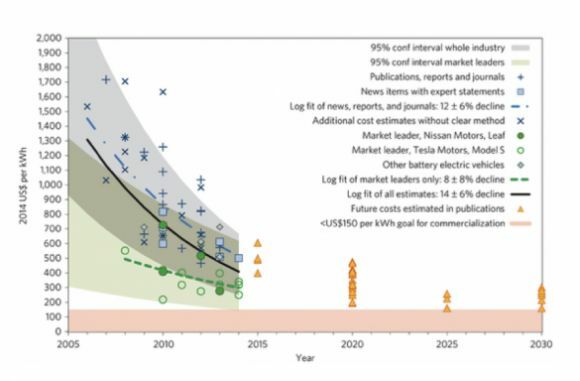 If just 10 percent of the million EVs expected to be available by the early 2020s sign up for “smart charging," over 1 million kilowatt-hours would be available to curtail during charging, thus providing substantial grid support. This amount will continue to climb as EV adoption continues to increase. Why am I so optimistic about battery storage? Well, we’re already seeing major learning curve effects in this space, and we should continue to see substantial cost declines in the coming years. A recent peer-reviewed study found that vehicle battery costs have declined, on average, 14 percent per year since 2007. Industry leaders like Tesla and Panasonic have seen less significant declines because they started out from a place of higher efficiency. Average cost declines for Tesla since it began manufacturing have been 8 percent per year. If we see the same declines continue through 2025, today’s estimated $300/kWh cost for Tesla batteries declines to just $130 by 2025 and $37 by 2040. This is a big “if” because there is no guarantee that costs will continue to drop regularly like this. But we can have some faith in this projection being close to reality because we can compare batteries to other technology revolutions where related techniques/materials were used to keep costs falling. Stationary battery technology is a little different than mobile technology, but the same cost trends will likely apply in both domains. In terms of long-term cost trends, in the case of batteries, there are many options for both stationary and mobile energy storage, including lead-acid, lithium-ion, lithium-metal, lithium-air, flow batteries, and others. As today’s lithium-ion technology reaches its theoretical efficiency limit, there are other technologies that may take its place in terms of continuing cost declines and efficiency increases. It seems quite likely, then, that Hawaii will continue its development of battery energy storage as costs come down and technologies improve. HECO has already issued an RFP for 200 megawatts of battery storage on Oahu. No winners have been selected for the RFP, issued in the first half of 2014, but dozens of developers submitted bids. Battery storage is an almost ideal solution for balancing the island grids as renewable energy penetration increases. Deploying increasing numbers of batteries will allow the fossil-fuel backbone to eventually shrink and ultimately disappear entirely. Can this be done by 2040? That’s the million-dollar question. My feeling is that it can be done in Hawaii, particularly because HECO has already shown that it can get to 70 percent by 2030 with little difficulty, while also saving tons of ratepayer money. So even if Hawaii gets to “only” 85 percent to 90 percent by 2040, the job is pretty much done at that point. We don’t need to be fetishistic and insist on 100 percent, because once fossil fuels are reduced to 10 percent or less, the harm they cause is almost entirely mitigated. Maybe this dance will end with a Mai Tai, after all.